The Native American’s teach us that, in nature, where a poison grows so does it’s antidote, often nearby. For me this is most illustrated by the Poison Ivy – Jewelweed relationship. Jewelweed is one of the natural remedies for poison ivy and definitely grows where you would find poison ivy. I can personally attest to this. 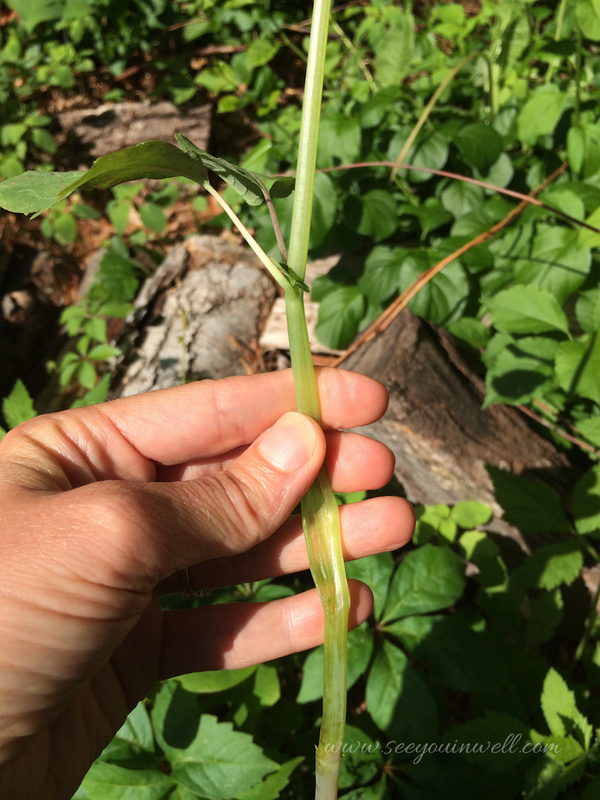 According to “Wildman” Steve Brill, Jewelweed is actually good for skin irritations, bug bites, and bee stings. 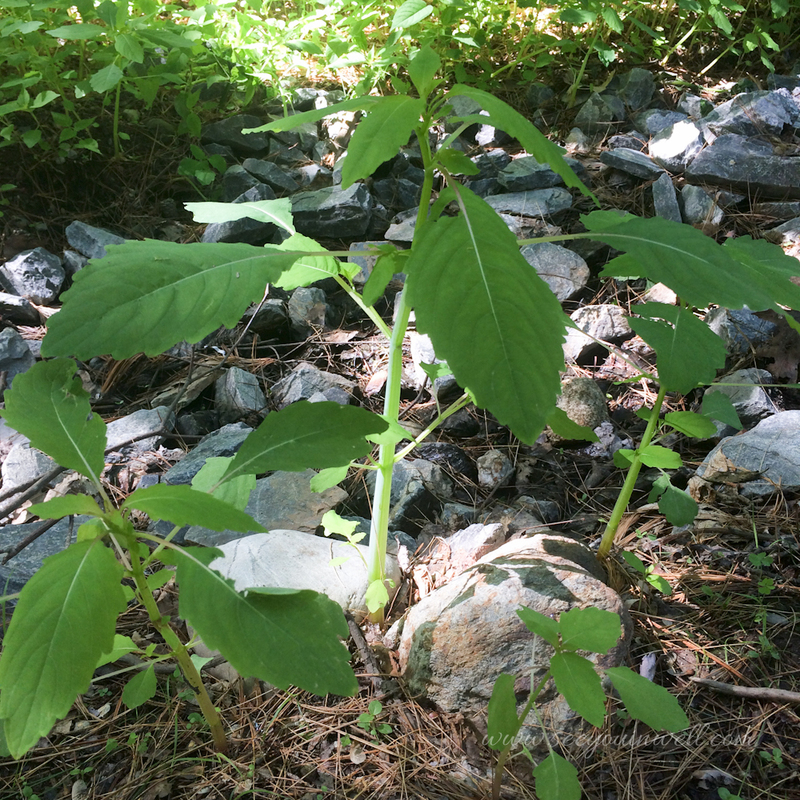 He writes in his book “Identifying and Harvesting Edible and Medicinal Plants in Wild (and Not So Wild) Places” that Jewelweed is a “virtual panacea for skin irritations”. Last year I got poison ivy really bad. I had it up and down my arms and more severely on my chest and neck. No, I didn’t rub myself in the weeds. I routinely pick up my dog after our run in the conservation land which is full of poision ivy. Plus I hug and cuddle with them. If they have oils on them, we can definitely pick some of it up. This last episode was one of the worse cases I had ever had. I tried all types of medications, ointments, etc. You name it. If it was supposed to clear up poison ivy, I tried it. None of it really worked that well. I just got to spend a lot of money on worthless products. Then someone told me about Jewelweed. I was told to make a tea out of it. Not a drinking tea (because that can be bad), but chop the plant and then steep it in boiling water. After you cool it, you can use a compress to apply the “tea” to the rash. Well, it worked. Overnight the swelling, redness, and itching had decreased significantly. A couple days later…almost gone. Free of charge! Jewelweed can also be applied directly from the plant to the rash. 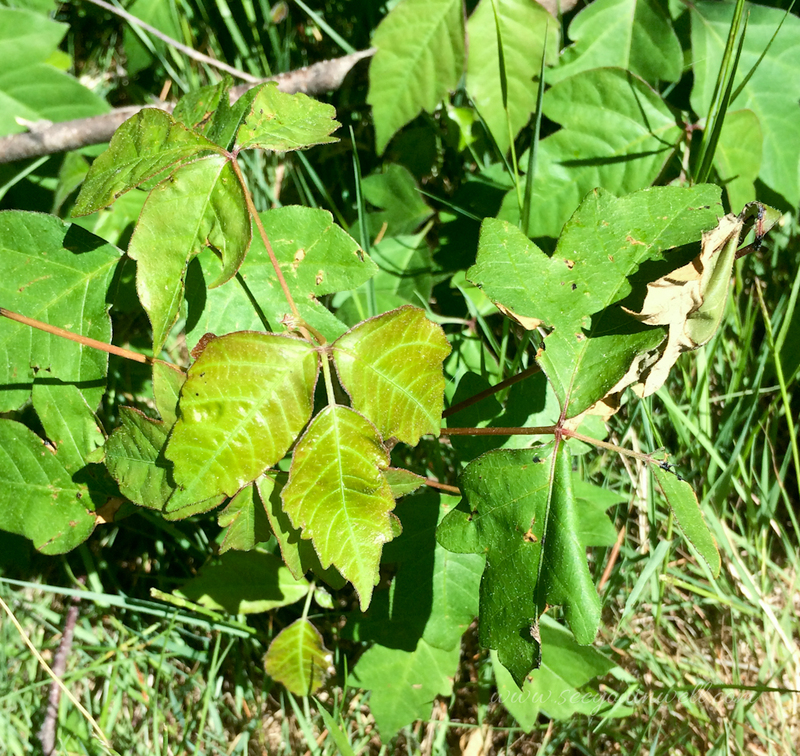 You can also use it as a preventative by breaking open the plant stalk and rubbing it over the areas that were in contact with the poison ivy. This, I am told, will prevent any reaction to the poison ivy. 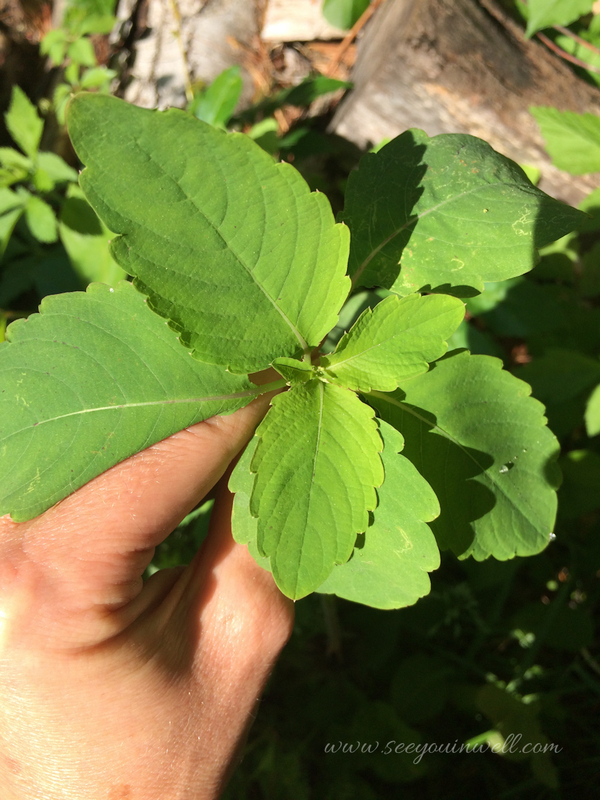 The hardest part is identifying Jewelweed. Once you identify it, you will see it everywhere. 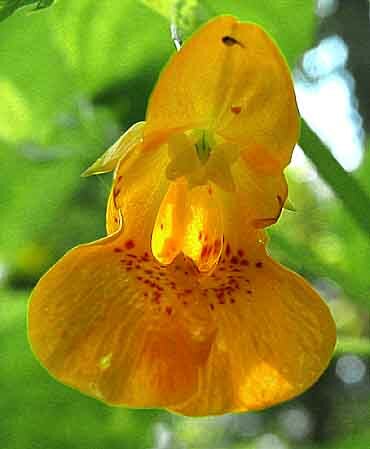 Jewelweed is an impatiens species that has a hollow, translucent stem. The color of the stem is light green, although some describe it as white…I don’t. Also, the leaves are water repellant. You can drop water on them and it will roll off. These are the 2 characteristics I use to help me pick it out of a borage of wild plants. Later in the season it will have pretty little flowers. However, I usually need it long before any flowers are blooming. Check out “Wildman” Steve Brill’s website for more details and better pictures than I have. Wildman Steve Brill on Jewelweed. 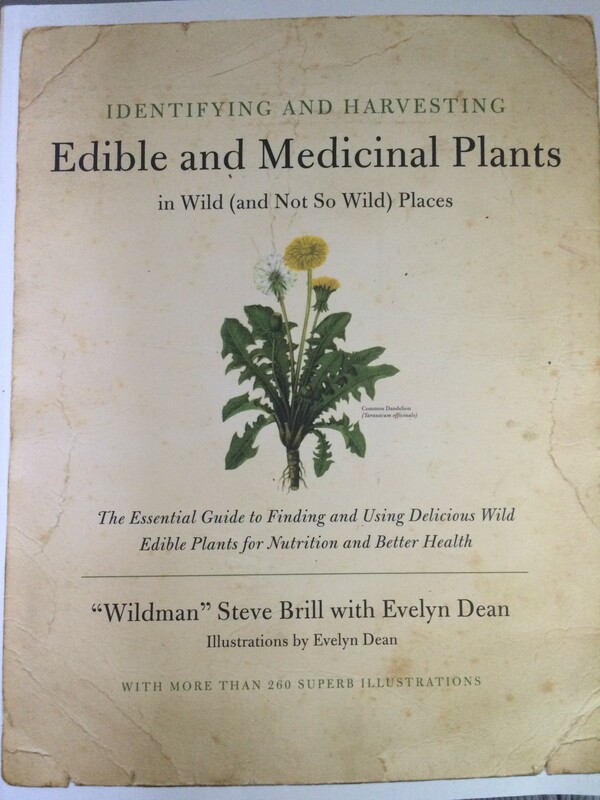 Steve’s book “Identifying and Harvesting Edible and Medicinal Plants in Wild (and Not So Wild) Places” is a great resource for the many uses of Jewelweed and other plants as food and medicine. You can also get more information on Posion Ivy in his book and website too.